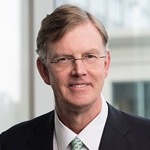 Today Charlie Morrison, president of Fidelity's asset management division, will retire from the Boston Behemoth. Steve Neff, head of technology and global services, will succeed Morrison. Also today, former Diamond Hill Capital Management chief operating officer Lisa Wesolek will retire from the company. Also today, vice chairman Ed Bernard will retire from T. Rowe Price. He oversaw the client service, communication, distribution, marketing, and technology teams, which will now report to Bill Stromberg, T. Rowe's president and CEO. Also at T. Rowe, tomorrow U.S. taxable bond team chief Andy McCormick will succeed Ted Wises as head of fixed income. Wiese will retire from the company on May 1. Nominations for ETF.com's 2018 awards will close on Thursday. This week on the defined contribution side of the industry, the teams at ASPPA, DFA, FIS' Relius, and John Hancock are all making changes to their leadership teams. Our sister publication, 401kWire, has more details.